Yoga in the jungle for body, mind & soul. Reconnect, unplug, retreat. Whether you are a yoga beginner or have a long time practice, the yoga retreats at Tiger Rock inspire you to stretch, not just your body, but also your mind. There is something about doing yoga surrounded by jungle that calms the eye, body, mind & the soul. Reconnect to nature at Tiger Rock. 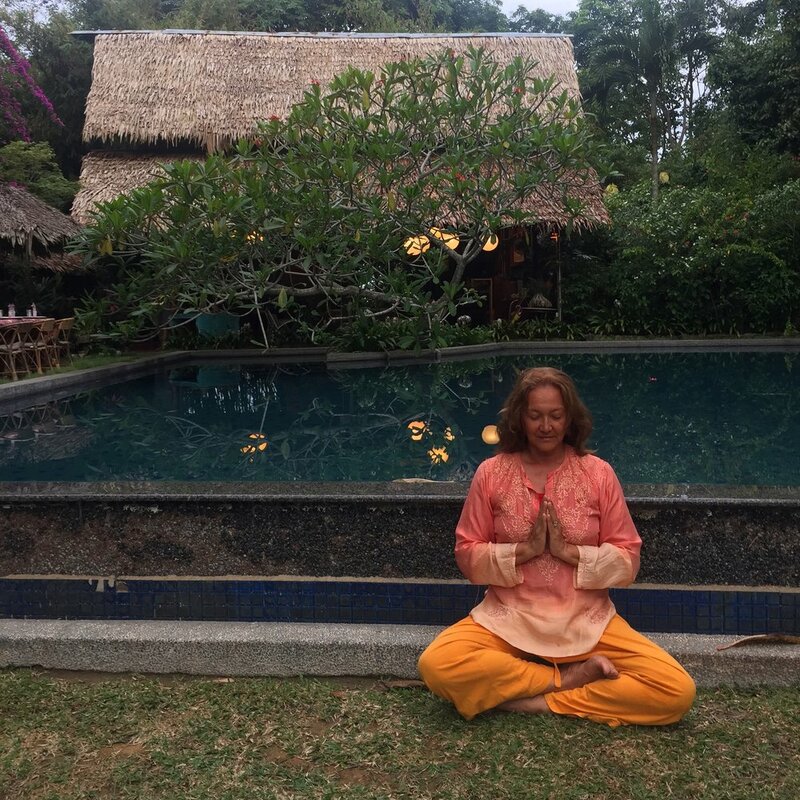 Sunalini regularly facilitates our yoga retreats at Tiger Rock & there are always return participants. This weekend yoga retreat is nearly full. We have a couple of places left. All our participants are arriving from Penang, so if you are Penang based, please let us know if you are interested in the final places! Single room - RM1250 per person( yoga & non-yoga participant) inclusive room, all meals & yoga for the weekend. Double room - RM950 per person inclusive room & all meals for the weekend when sharing a room with a friend. Alcoholic beverages. These can be paid at the end of your stay. Please note that we do not accept credit cards at Tiger Rock. Please bring your own yoga equipment & accessories. The fridge is stocked with plenty of fresh limes & water. Tea & coffee are all at hand in the house kitchens. Bring a pair of good walking shoes/sneakers. Loose clothing in light colours. A swimsuit. A sarong. A pair of light pants for the twilight mozzie time. A pair of comfy slippers. Note: Please choose to wear white or light coloured clothing. This helps against mosquitoes. We are in the jungle. Please expect mosquitoes. Mosquito repellent is available at the Pool House. 3. All Vegetarian with Seafood & Meat Meals. Yoga breathing practice at the end of the main pool at Tiger Rock. Open your eyes to a wonderful green jungle view.